Jet Set 341130 Night Stand from Nexera offers 2 convenient storage drawers to keep your books, magazines, personal effects, etc. handy while in bed. Jet Set Collection from Nexera is a contemporary bedroom collection offered in a rich Ebony finish with a choice of 3 platform bed sizes - twin, full and queen. Melamine top panel that is resistant to scratches and stains. Can your bedroom furniture be both elegant and functional? The Fremont 2 Drawer Nightstand makes it possible. This space-saving bedside table gives you two full-sized drawers, each perfect for keeping the knick-knacks of your life out of sight. Use the sturdy top to pile on your books, cell phone, alarm clock, lamp and whatever else you like: this night table will look posh no matter what its storing. Coordinate with other items in the Fremont Bedroom Collection for added elegance! 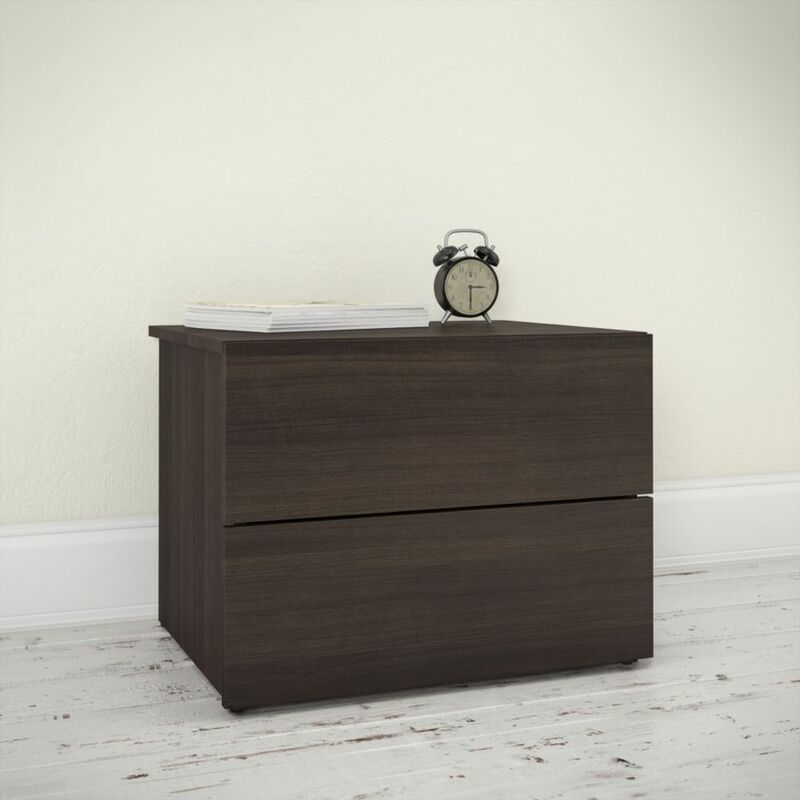 Designed in elegance and practical style, this Prepac nightstand is makes a wonderful addition to any contemporary bedroom. With a gorgeous contemporary design, this piece is sure to be a stylish addition to your home. This convenient nightstand will hold your books, your bedside lamp, your alarm clock, and more. 341130 2-Drawer Jet Set Night Stand, Ebony Jet Set 341130 Night Stand from Nexera offers 2 convenient storage drawers to keep your books, magazines, personal effects, etc. handy while in bed. Jet Set Collection from Nexera is a contemporary bedroom collection offered in a rich Ebony finish with a choice of 3 platform bed sizes - twin, full and queen.